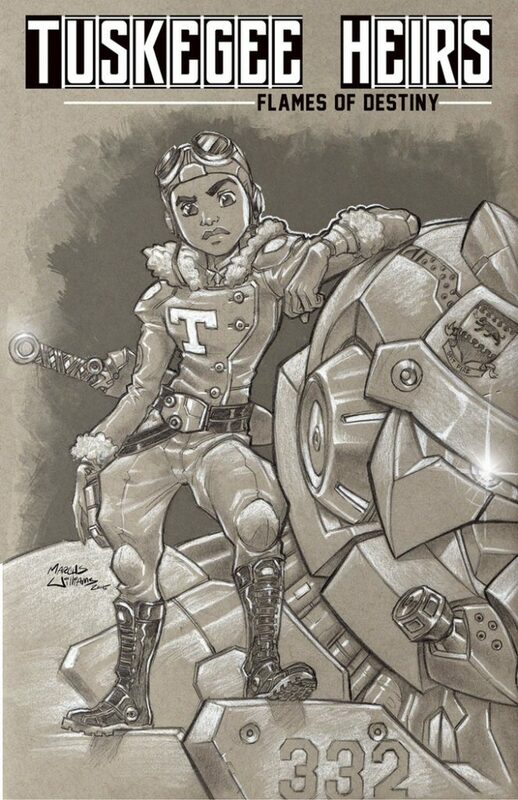 What is Tuskegee Heirs? 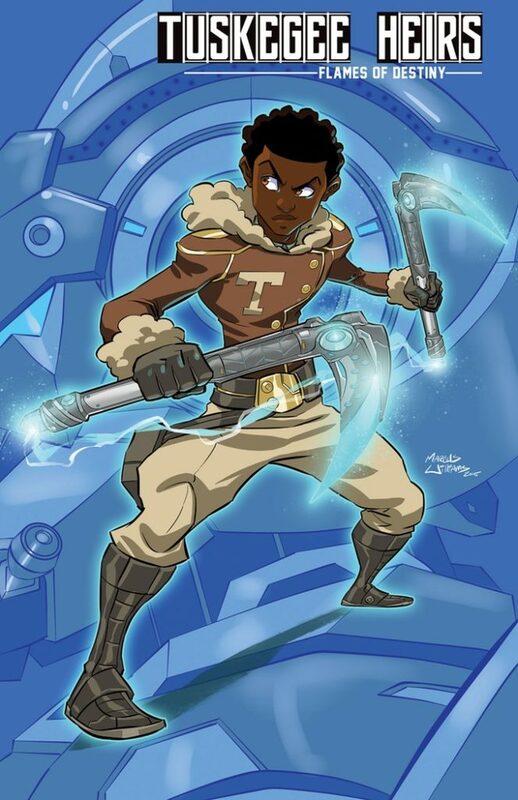 : From the minds of illustrator Marcus Williams (Hero Cats, Super Natural and D.M.C) and children’s book author Greg Burnham (Broken Glass and Grandpa’s Shoes) comes the “Tuskegee Heirs: Flames of Destiny” series. 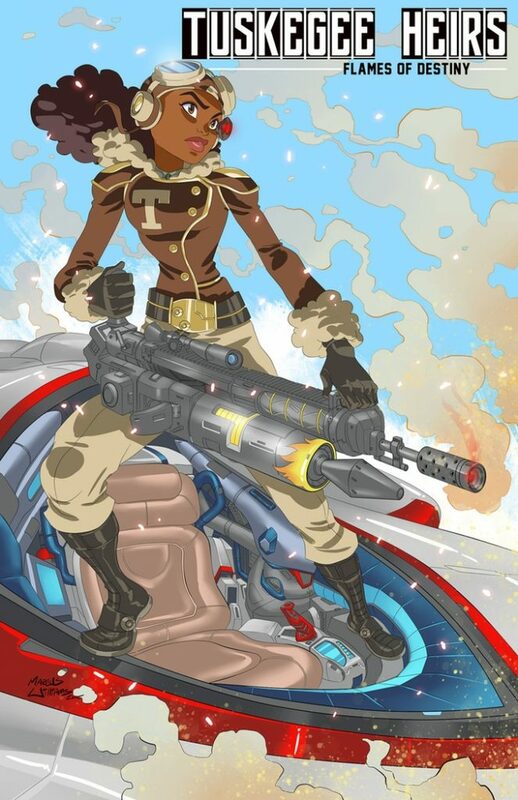 Tuskegee Heirs is a futuristic sci-fi adventure that follows a squadron of young, gifted aviators who are forced to become Earth’s last line of defense against a menacing race of artificially intelligent villains bent on destroying civilization. 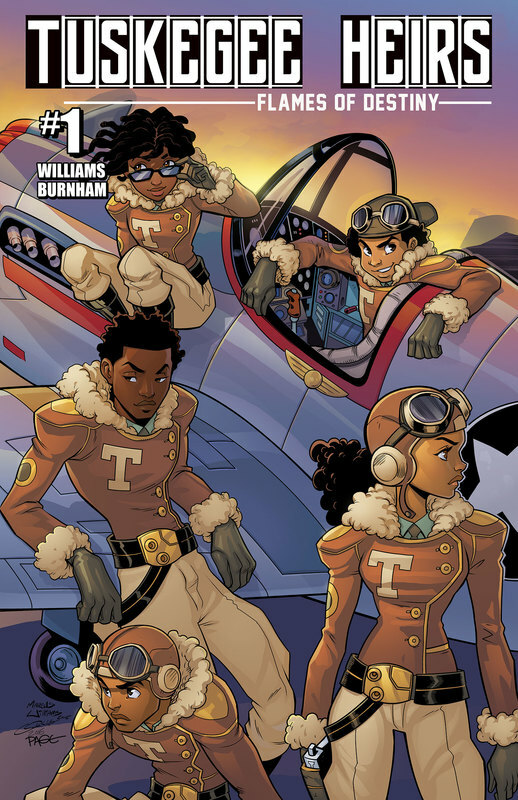 What is The Premise: The duo looks to pay homage to the historic Tuskegee Airmen, while bringing forth a new set of character rich young heroes. 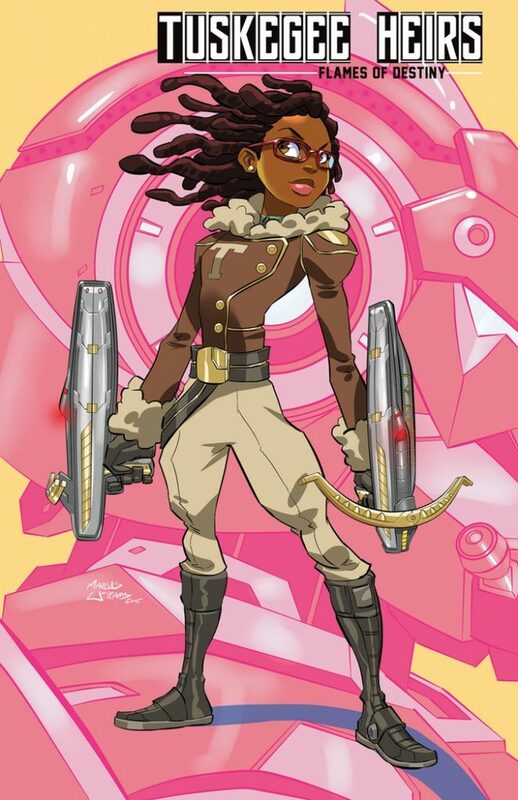 With a graphic novel set to release mid 2016, Marcus and Greg intend to push this project towards animation. 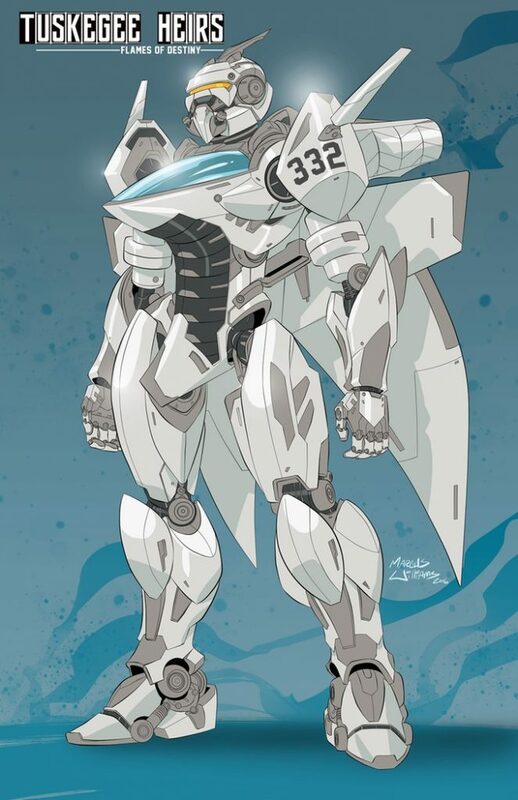 Following in the Japanese animation genre’s age old practice of dropping unusually talented youths inside the cockpits of enormously powerful machines, the amazing pilots of this series will be no exception. 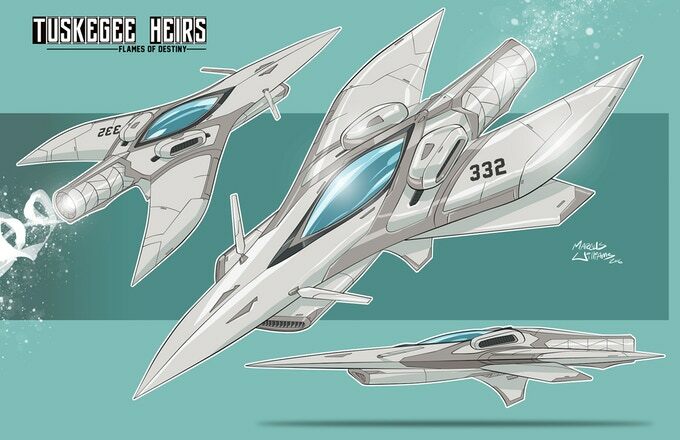 The Tuskegee Heirs will be set 80 years in the future where a world sculpted by rapid progressing technology will come to ban human pilots from operating aircraft and go as far as to criminalize the act of even training pilots. Our young pilots, however, have found a secret training facility and refuge in the historical airfield once used by the fabled WWII War Heroes, the Tuskegee Airmen. Under the careful guidance of Col. Mars, a long retired veteran pilot, the team of young hopefuls are trained and educated about the strong ethics that made the classic airmen the formidable unit that they were. Not long into their training, a mysterious military force composed of highly advanced self-aware war machines fixated on destroying civilization as they know it, declares war on all societies. Suddenly the teens are thrust into the middle of a war for humanities’ right to exist. They will have to use their training as pilots, knowledge of history, and unique skill sets to defeat this fearsome enemy.